Edo State Governor, Mr Godwin Obaseki has assured people that his administration was hard at work, formulating plausible strategies to ease conduct of business in the State. Besides, Pricewaterhouse Coopers (PwC) and the British High Commission have said the state has abundant resources to support its prosperity agenda, observing that industrialization of the state was a major focus of the newly elected government with a strategic plan to ensure the state becomes an economic hub of agricultural and industrial activities. 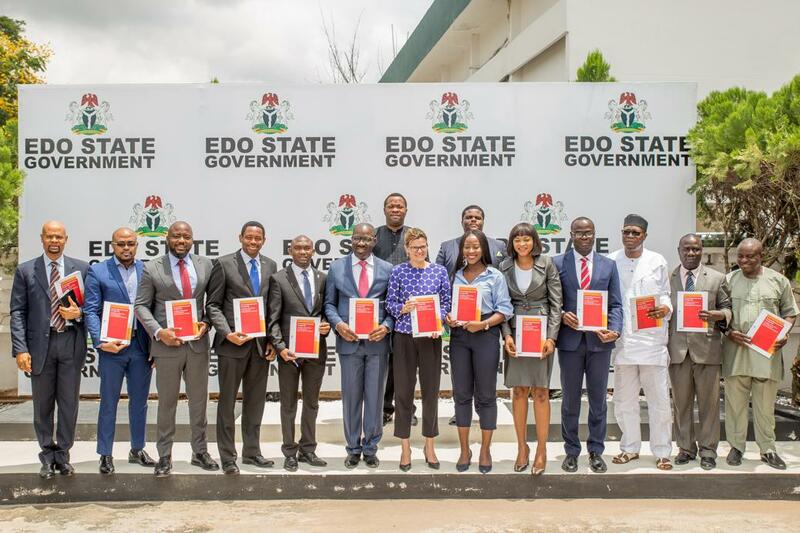 The governor stated this on Wednesday at the Edo State Government House in Benin City as he received the management of Pricewaterhouse Coopers (PwC); led by the British Deputy High Commissioner for Lagos, Ms Laure Baufils. For her part, Baufils, the British Deputy High Commissioner for Lagos, said the visit was to discuss the better ways of doing businesses in the state and to know the on-going reforms and challenges being faced. She also praised the governor Obaseki-led administration for the on-going reforms on land rights, tax harmonisation and proper data collection process for businesses to thrive in the state. On the modalities to make business easier in the state, Governor Obaseki revealed that the state was gearing to launch its Geographical Information System (GIS) to facilitate prompt insurance of Certificate of Occupancy and transfer of land titles for business purposes. He said: “When people seek to do business in a particular place, they are looking at the Land issues, ease of transferring titles, and obtaining C of O. The good news is that we have taken measures in the past six months to come up with a system that will ease these processes and attract investors to the state”. In addition, the governor disclosed, his administration was working closely with the Ministry of Housing and Urban Planning to speedily ensure that the process of getting approval for businesses was simplified and easy to follow. Meanwhile, infrastructural development such as road construction and rehabilitation to ensure easy access to rural areas, as well as security measures, were being improved upon to also make business easy. He elucidated that a new security master plan was being finalised to make the state safer and more secure for businesses to thrive.